When online casino sites launch in the Commonwealth sometime in early 2019, gamblers won’t be limited to placing real-money bets from their desktop computers, they’ll have the option of betting via myriad mobile apps as well. Through the years, iGaming software providers have become extremely adept at adapting their games for smartphones and tablets, leveraging the small yet powerful devices to create fun and exciting gambling experiences for players on-the-go. For many of us, our mobile phones are virtually tethered to our bodies, so it comes as no surprise that a large chunk of revenue at online casinos is now generated by mobile gamblers. In short, it’s a channel that online gaming operators can no longer afford to ignore. In PA, we expect the 10 properties which have so far applied for online casino licenses (plus any future “skins”) to each make their offerings available on iOS and Android devices, giving gamblers a wealth of apps to choose from. And unlike the case when neighboring New Jersey launched its online gambling industry in 2013, many fully-fledged mobile casinos in Pennsylvania should be available right out of the gate. Below we break down what players can expect from Pennsylvania mobile casinos, highlight advantages and potential drawbacks of mobile play and provide answers to your most commonly asked questions. Play from nearly anywhere: Smartphones have revolutionized the way we interact with the web, and now make it possible to gamble online without the need for a desktop computer. With mobile betting apps, players can access their favorite games so long as they are within the borders of the state (or not at a PA land-based casino, per regulations) and have access to an Internet connection. With the freedom to play on-the-go, mobile casinos can potentially turn any boring situation into a thrilling experience, especially if the cards fall in your favor. Slots translate well to mobile: Smartphones weren’t made with online casino games in mind, obviously, but some games, like slots, are a natural fit for small screens. Developers have done a great job of porting popular land-based and desktop slots to mobile devices, creating a simplified user experience through innovative design. For this reason, mobile slot libraries are often relatively large, while table games, which don’t normally translate as well, are usually limited. Slots are generally the most popular games at online casinos, so the wide variety of titles available on mobile is a welcome bonus. 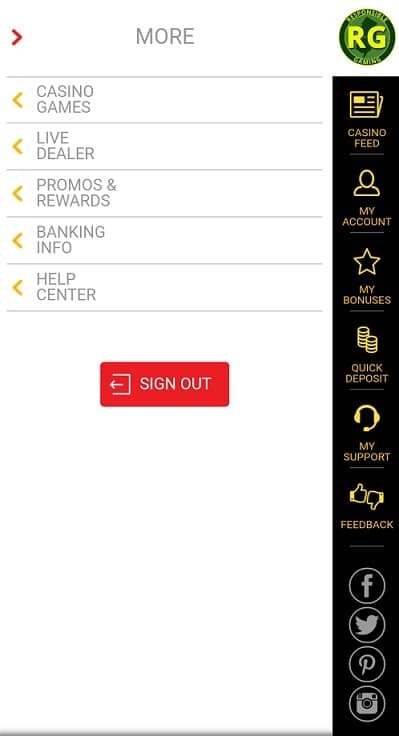 Full-fledged account management: Modern mobile casino apps give players access to most, if not all of the account management functions they enjoy on desktops. Patrons can set their preferences, make deposits and withdrawals, opt in and out of promos, activate responsible gaming measures and more by doing nothing more than tapping on their mobile screens. Mobile-specific promos: In an effort to introduce players to their mobile offerings, some casinos offer promotions and bonuses which can only be attained through play on mobile apps. Taking advantage of the constant stream of promotional goodies offered by online casinos is a must when fighting against the house edge, so every penny counts. A cluttered experience: While slots may look great on mobile devices, some games need a bit more breathing room. Table games like roulette and craps seem cramped on a smartphone screen due to the sheer amount of graphics and betting options that need to be displayed. Video poker is another format which developers are still struggling to lay out elegantly inside mobile apps. For that reason, these types of games can sometimes be difficult to play, and imprecise finger taps could even lead to unwanted action. 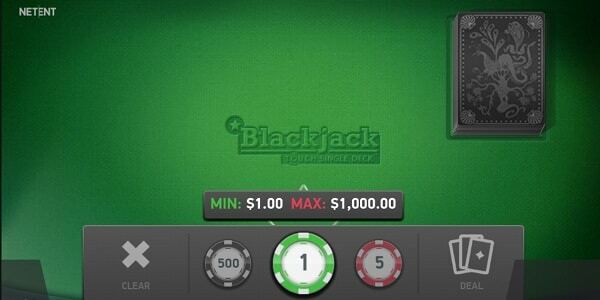 On the flip side, Blackjack is becoming more and more optimized for smartphone and tablet devices. Smaller game selection: Porting a desktop or brick-and-mortar game to a mobile device isn’t always a simple process. Designers sometimes have to rethink the entire interface for smaller screens, a project which might not be high on a developer’s to do list. The extra work involved, coupled with the inherent issues in designing mobile table games serves to limit mobile libraries overall. More frequent disconnects: Due to the nature of cell phone signals, and the fact that mobile phones are constantly on the move, disconnecting during online casino play is sometimes an issue. Not to fear though! While playing online casino games, this is nothing more than a mere annoyance, because as soon as you log back in, your hand or spin will continue exactly where you left off. When playing peer-to-peer poker, however, this could be an issue, as hands are auto-folded after a certain period of inactivity. Now that most mobile casinos allow connecting via both Wi-Fi and data networks, this has become less of a problem. Some blackjack games have been optimized for mobile. All but three of Pennsylvania’s land-based casinos have purchased a license to offer one or more forms of online gambling. Rivers Casino, The Meadows, and Lady Luck Nemacolin are the only properties to steer clear of online casino and poker altogether, although Rivers is likely to heavily promote its sister casino in Philadelphia, SugarHouse Casino. In addition, outside entities Golden Nugget and MGM scooped up a handful of the remaining licenses, giving them a foothold in the state as well. It would be a shock if each and every licensee, along with any skins under their umbrellas, didn’t offer their own mobile experiences. And since the state has allowed for core licensees to host unlimited skins, this space could get quite crowded. We expect that land-based venues will launch (or strive to launch) their mobile casinos in tandem with their online casino sites, a process which should begin unfolding by Q2 2019. Of course, there are always unforeseen delays, and some operators might prefer to get a handle on their desktop site before launching companion apps. Parx Casino: Parx will be powered by GAN, which serves as the backbone for Betfair Casino and Ocean Resort NJ. GAN is a major industry player with several years of U.S. experience under its belt and has been preparing for online gambling with Parx for many years. Rollout should be quick and smooth. SugarHouse: SugarHouse will have an easy time launching its mobile app and online site in tandem due to its experience operating an online casino in New Jersey. The company also has full control over its software platform, which was custom-built in-house by Rush Street Interactive, a subsidiary of SugarHouse Casino owner Rush Street Gaming. Mount Airy: 888 and PokerStars, both of which offer desktop and mobile apps in NJ, have linked up with Mount Airy. Both sites have plenty of experience running online casino sites in the U.S. and beyond. Golden Nugget: GN is the top-earning online gambling licensee in New Jersey. It offers a huge library of mobile games through the NYX platform. Due to its impressive Garden State success, it will likely continue with NYX Gaming in PA, and quickly launch a similarly robust mobile casino. MGM: MGM International doesn’t own any land-based casinos in PA, but was able to score both an online casino and online poker license after several permits went unclaimed. The casino conglomerate operates its own iGaming sites and mobile apps through the Borgata license in New Jersey and should have a multichannel experience ready to go when regulators give it the green light to launch. What platforms will PA online casino apps be available for? Expect nearly all PA online casinos to put out free apps for both iOS and Android mobile devices, collectively covering about 99.9% of the smartphone market. While the two versions may not launch at the same time at each casino, both will be available for download eventually. Can I play on a tablet? Most apps released by PA gambling sites will be playable on iOS and Android-powered tablets. SugarHouse NJ’s iOS app, for example, is available for the iPhone, iPad and iPod touch, as are several others. Most apps require relatively updated software (iOS 9.0 or later in the case of SugarHouse, at the moment), so be sure to keep your devices up-to-date. What types of games will be available on mobile? Due to their sheer popularity, and the fact that they display well on small screens, slots will make up the lion share of titles on PA casino apps. But you can expect games of all flavors, including blackjack, roulette, jackpot slots, video poker and more. Table game selection won’t be as deep as slots, though, so craps and Let it Ride-lovers may have to stick to desktop versions of the casino. Some sites will undoubtedly offer the hugely popular Live Dealer games as well, which feature real dealers dealing games over a live video feed. These should be available on smartphones first, and then tablets. How do casino apps know that I am inside Pennsylvania? PA iGaming sites rely on geolocation technology to pinpoint the exact location of a player and verify that they are physically inside the borders of the state. The software, built by companies like GeoComply, is highly accurate and very hard to fool. On a desktop computer, players are required to download a small add-on to complete the verification process. But mobile players don’t need to download anything in addition to the app, due to the fact that modern iOS and Android phones already have geo-tracking technology built-in. Is there anywhere inside PA where I can’t play? Ironically, PA regulators, in their wisdom, decided to prohibit real money online casino wagering from inside any of the state’s land-based gambling venues. This means that even a player sitting inside SugarHouse Philadelphia could not bet real money via the SugarHouse online gambling app, a strange and limiting rule which nevertheless must be followed by operators. Do I need Wi-Fi to play at a mobile casino? While Wi-Fi may make your connection more stable, it is not required to play at most mobile gaming sites. Players can now gamble virtually anywhere as long as they have access to 3G or 4G network data. Can I create or fund my PA online casino account from outside the state? It is not necessary to be inside PA to create or fund a gambling site account. However, you will not be able to make a bet for real money until you are within state borders. So if you were, say, planning a trip to Pennsylvania, you could sign up an account from home and make a deposit before arriving. Everything would then be set up for you to begin playing as soon as you cross into the state. Will there be mobile poker and sports betting apps? PA lawmakers legalized both online poker and sports betting along with online casinos last year. We expect licensed sites to begin offering mobile apps for all three verticals soon in early 2019. Some operators, like playMGM, prefer to create dedicated apps for each type of betting, while others fold two or more verticals into a single app. Apps that offer multiple game types are advantageous for players in that they usually feature a unified wallet. Can I play at PA mobile gaming sites for free? Most online casinos games come equipped with a demo mode setting, which allows players to try out the title at no risk, betting nothing but play chips. Out-of-state gamblers can usually test out games the same way, although some sites have been known to deny the option to those not geo-tracked inside state borders. There are other ways of playing for free which don’t involve play money. One such method is to take advantage of so-called no deposit bonuses, promos which award players with a small amount of real cash to take the casino for a test drive. Will I get a welcome bonus package if I sign up on mobile? Yes, absolutely. Plenty of PA online casinos will be offering generous welcome packages (i.e. sign up bonuses and deposit bonuses) to attract new players to their sites. It won’t matter whether you signed up your account via the website, a tablet or smartphone – as long as you follow the promo instructions, you will receive the same offer as any desktop player would.